I'm really trying to eat everything in our fridge before it goes bad. It sometimes means that I am less than thrilled to make dinner. Living in the bottom vegetable drawer of our fridge was an eggplant. Don't get me wrong I like eggplant, it is okay. It's not my favorite but it came in our veggie box delivery and it has to be eaten. 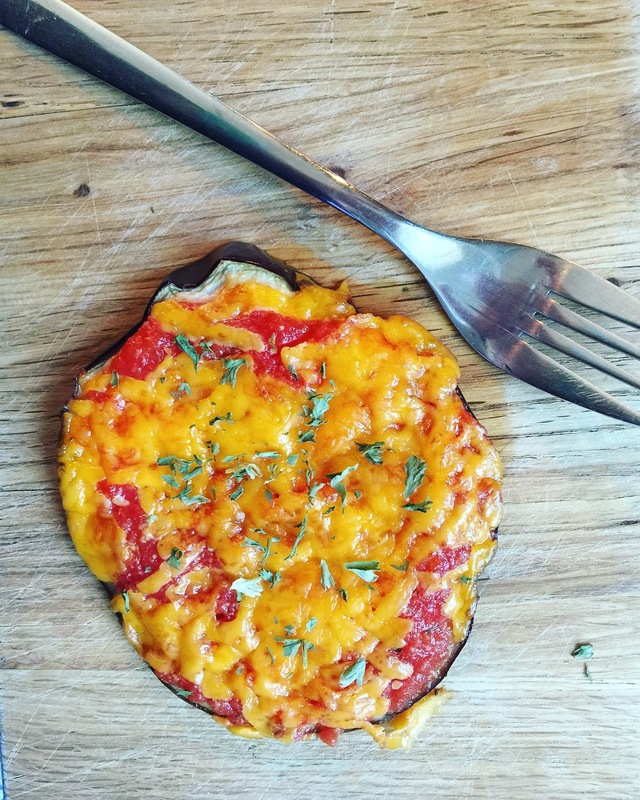 I scoured Pinterest for recipes that didn't involve a lot of prep work and would possibly get my kids to eat this eggplant as well. I found this recipe from Clean Food Crush and decided to tweaked it for my family. We only had cheddar cheese in the fridge so that was what I used and it tasted delicious. Also I added more cheese than she did because I wanted my kids to eat it. And let me be honest with you...in order for vegetables to cross my children's lips without them gagging as if I am trying to kill them with poison...it must be covered with cheese. I am happy to report that both of my kids ate a slice without complaint. HUGE WIN FOR ME!!!! 1 eggplant, sliced to the size of a fingernail's width. I put a can of diced tomatoes in the Ninja blender with a ½ tablespoon of diced garlic (the refrigerated jar kind) and a splash of dried basil. A few quick spurts and it was ready. 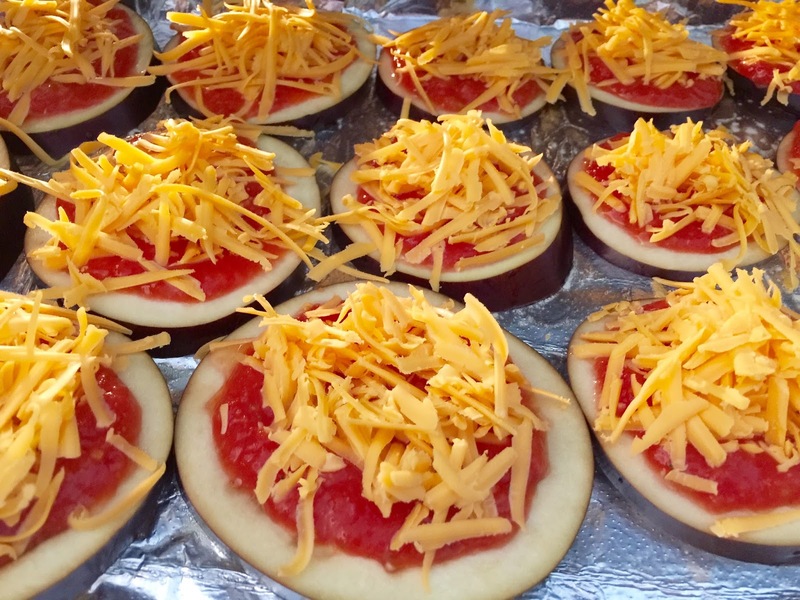 Place eggplant slices on a cookie sheet that has been sprayed with oil. Top each eggplant slice with the sauce and cheese. Simply eyeball it and keep in mind it's supposed to look like pizza, so you don't want the eggplant swimming in sauce. Bake for 25 minutes and serve immediately.